What are people really celebrating when they mark the anniversary of “Bastille Day”? On this day in 1939, on the 150th anniversary of the storming of the Bastille, the very flame of enlightenment itself flickered and seemed about to go out. Adolf Hitler was threatening to take over Europe, first, and then the world. What meaning could Bastille Day have in that context? 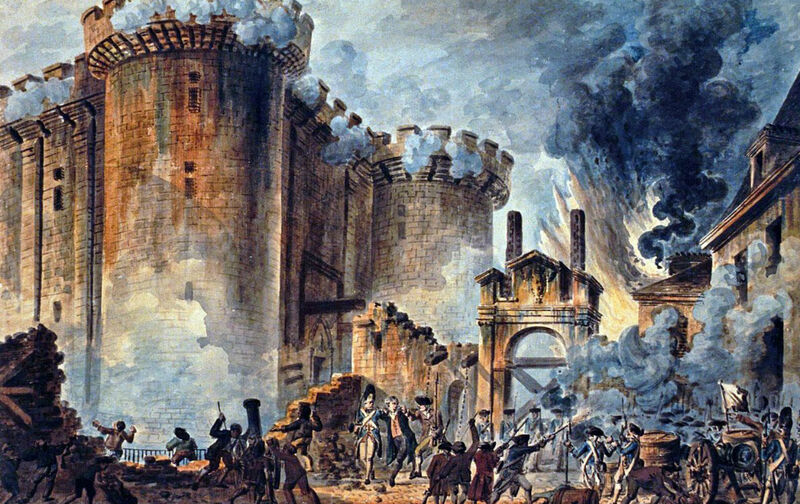 The fall of the Bastille was a marked day from the start. Even in Tsarist Moscow enlightened gentle­men put candles in their windows when the news came. The very first anniversary, July 14, 1790, was celebrated at Paris with impressive ceremonies at the Champ de Mars. It rained, perhaps in retrospect a not unhappy symbol; for the democratic faith in which July 14 is one of the holy days has had to prove itself no fair-weather faith. Now, on the one hundred and fiftieth anniversary of the taking of the old feudal castle by the people of Paris, it still looks very much like rain. But, here and there all over the world, men will still celebrate the fall of the Bastille. What are they celebrating? In France and the French dominions, they are in part celebrating a French national holiday. As an element in the culte de la patrie, July 14 is now so firmly established that it might well survive changes which, in pure logic, are quite antithetical to what the men of 1789 were striving for. Even a fascist France would probably have to make room for July 14, as the anti-clerical Third Republic has had to make room for Saint Joan of Arc. But Bastille Day, even more than the Fourth of July, is not just a national holiday. To the rest of the world, and to most Frenchmen, it is a memo­rial to the “principles of 1776 and 1789,” to ideas com­mon to Western democracy.